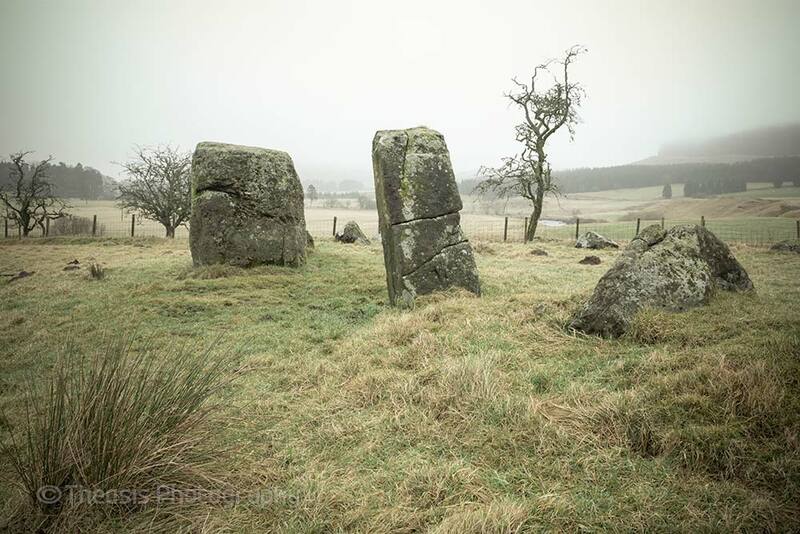 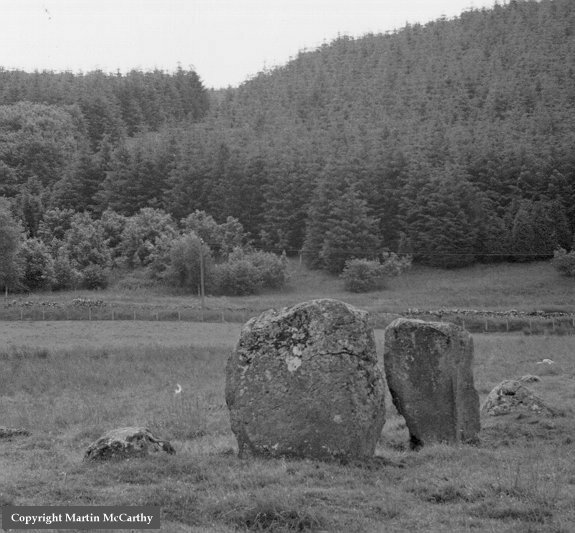 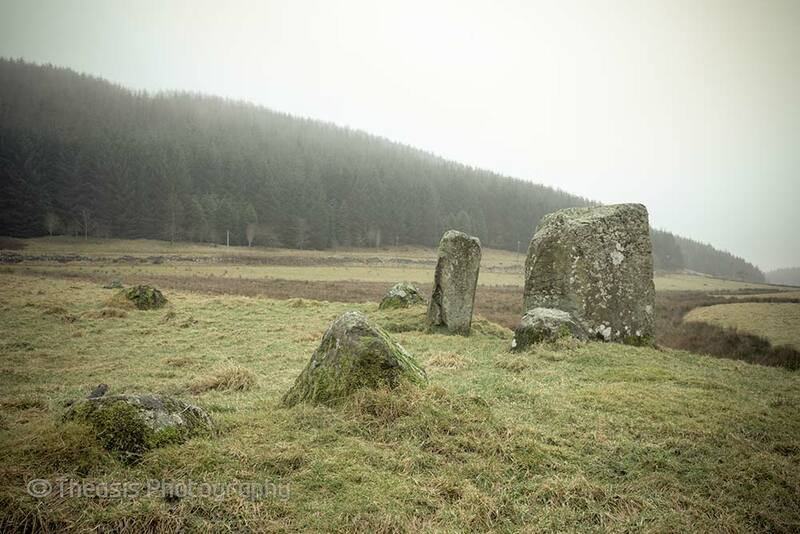 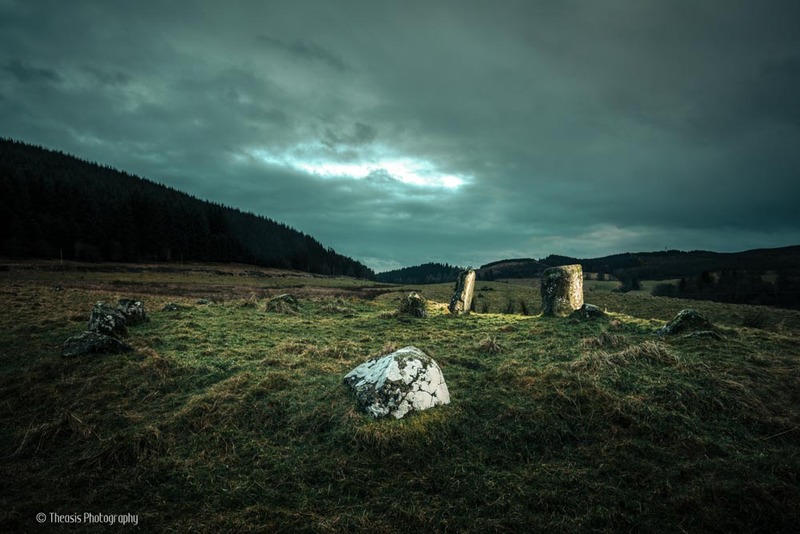 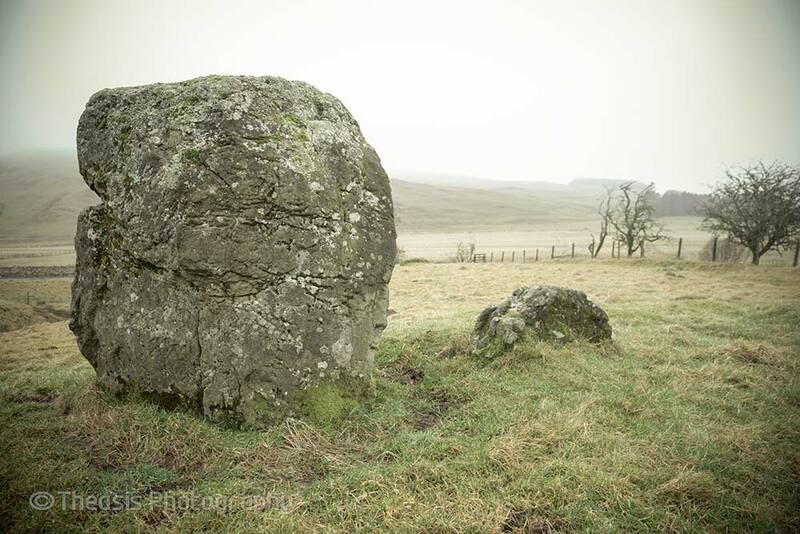 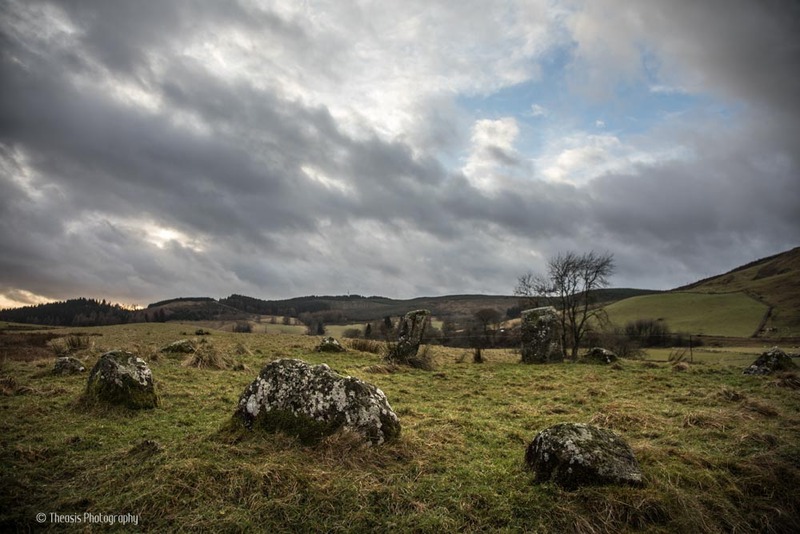 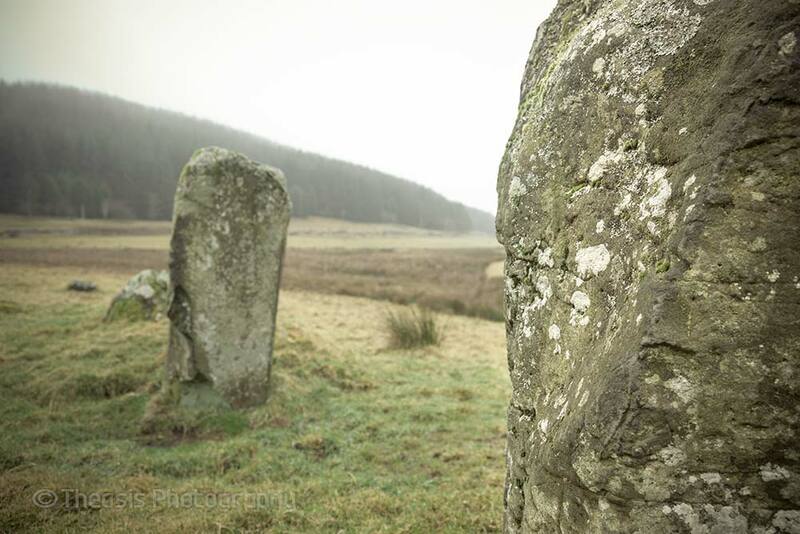 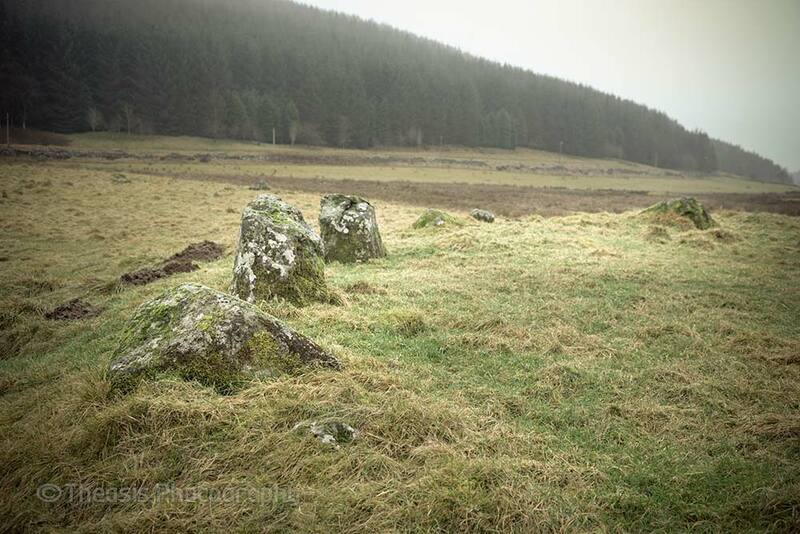 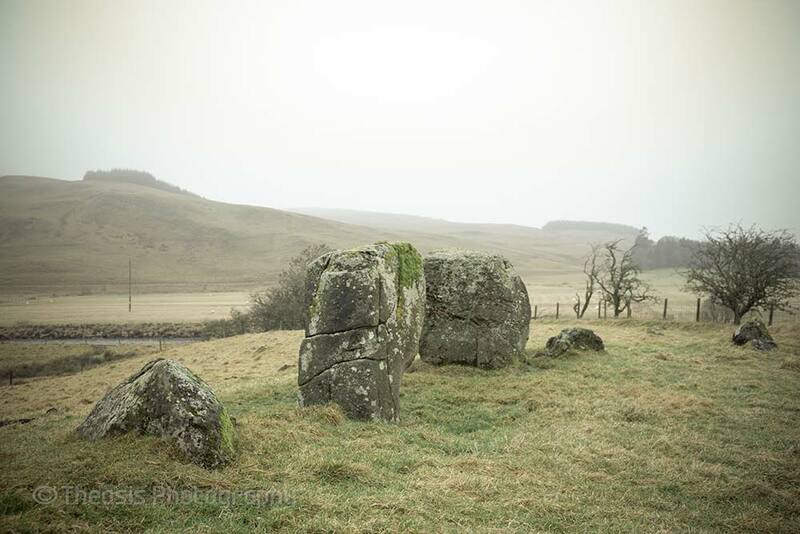 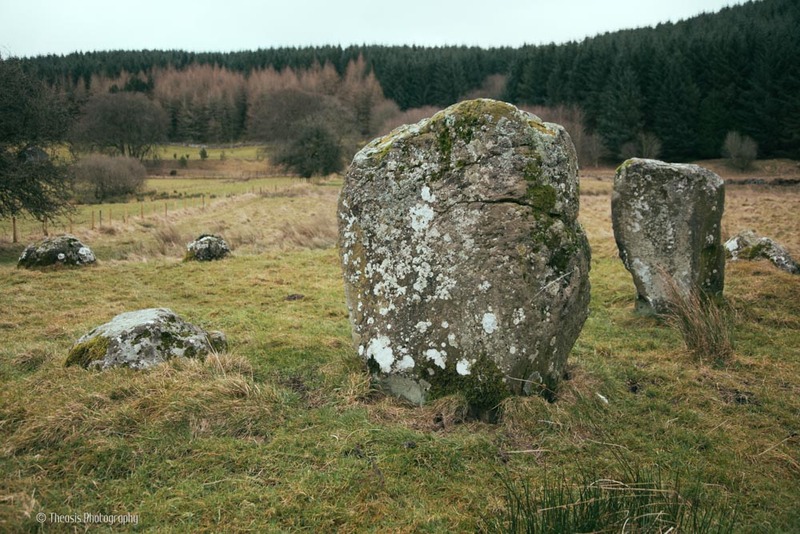 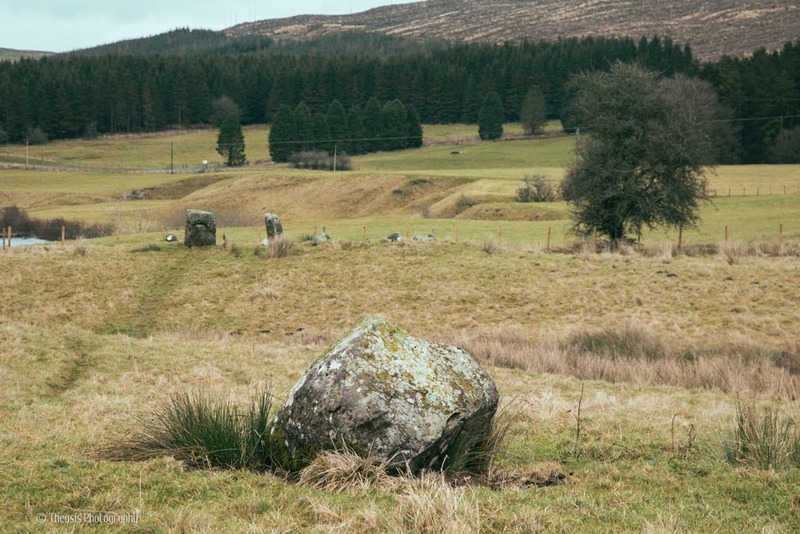 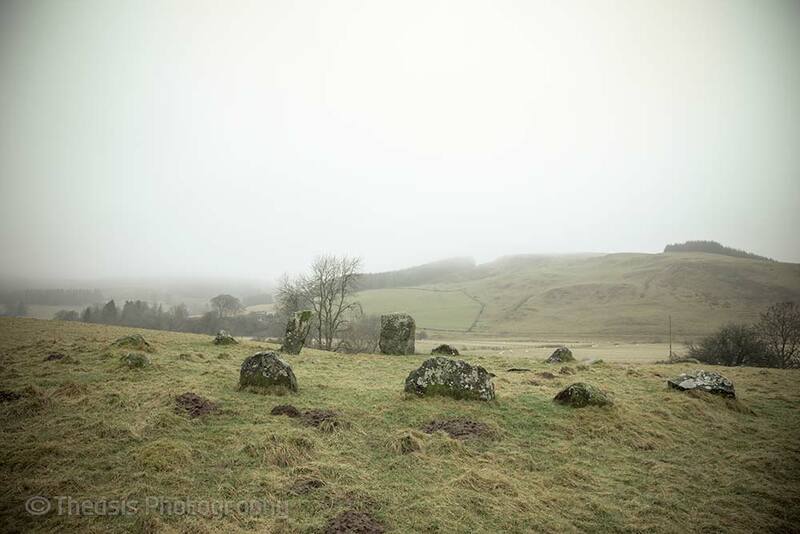 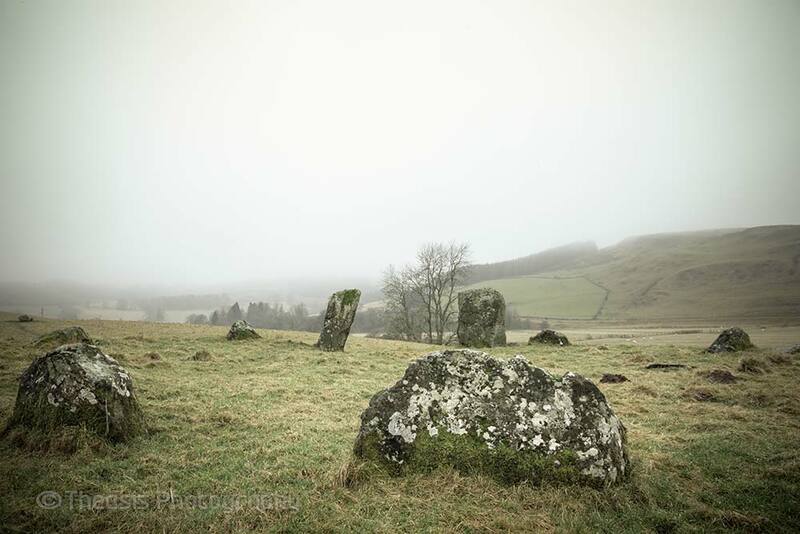 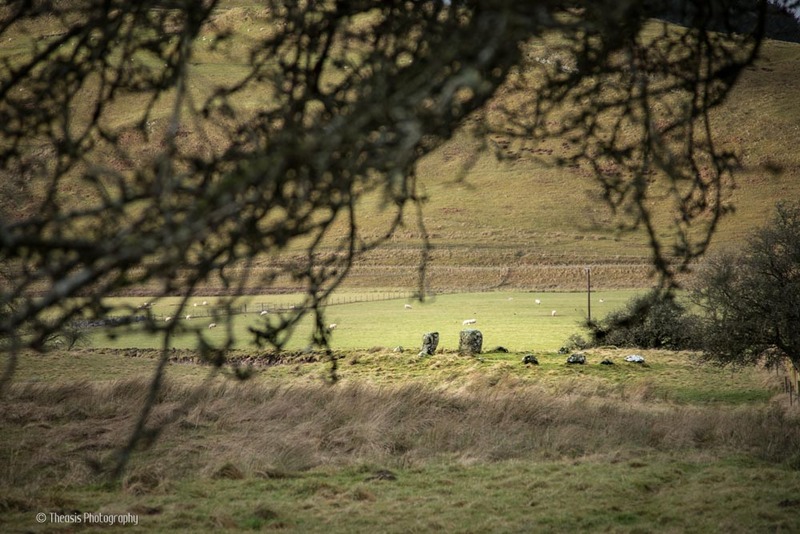 This group of stone circles is at Eskdalemuir, near Lockerbie. 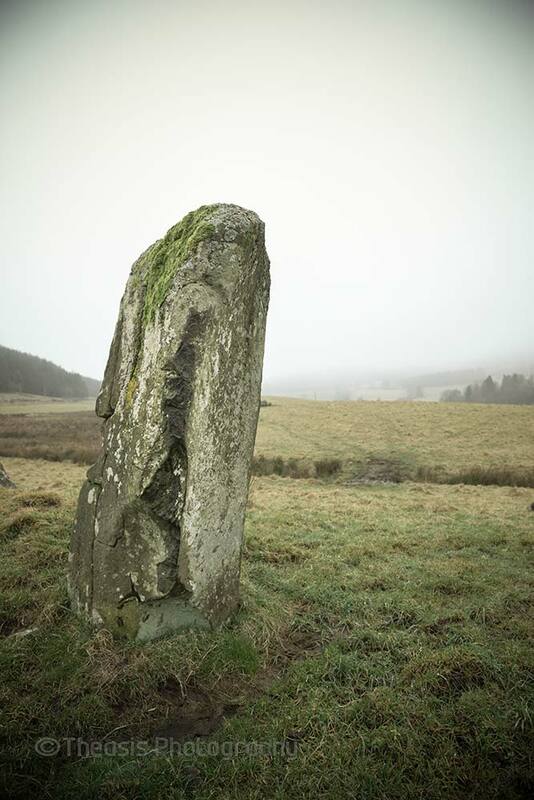 One circle of twelve stones is complete;just by this circle are two almost-vanished circles. 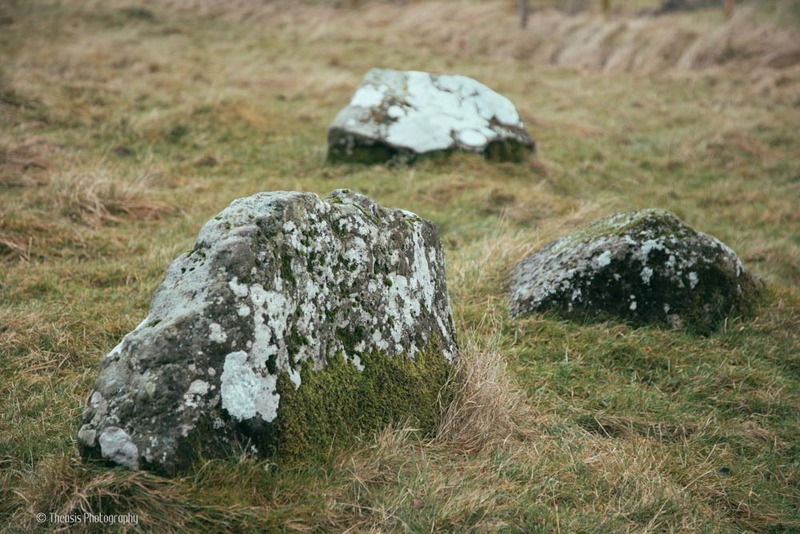 Most of the stones are one or two feet tall. 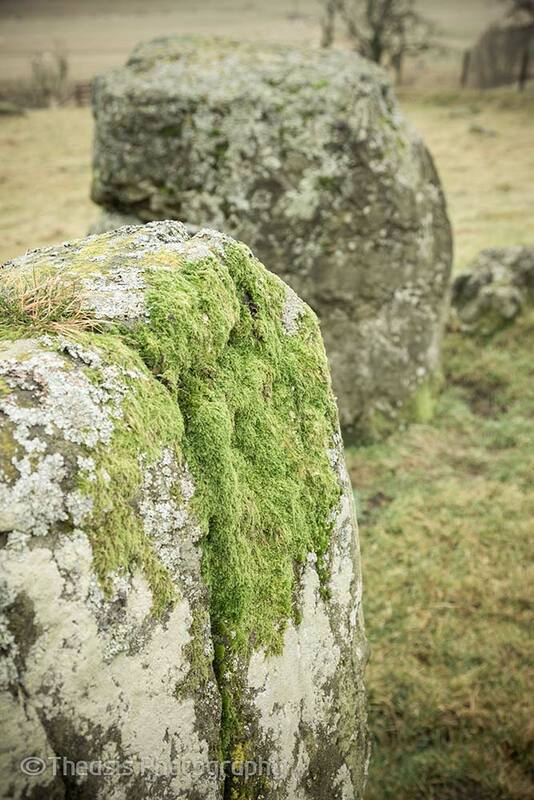 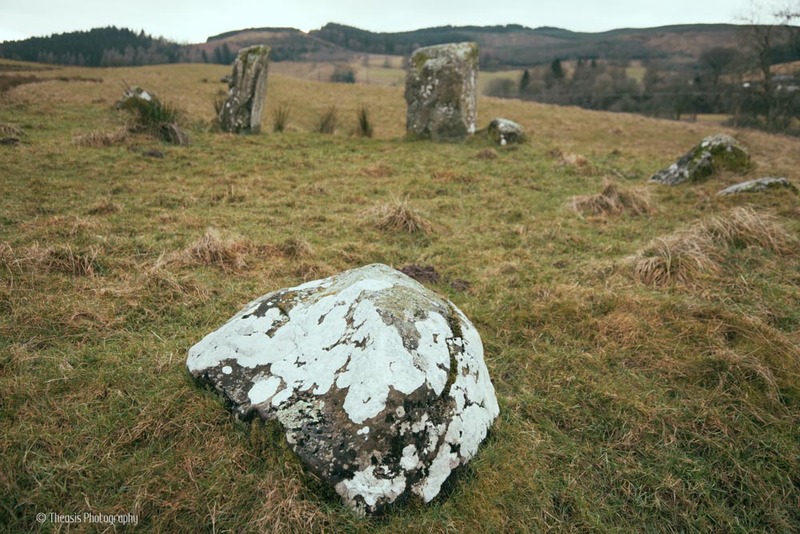 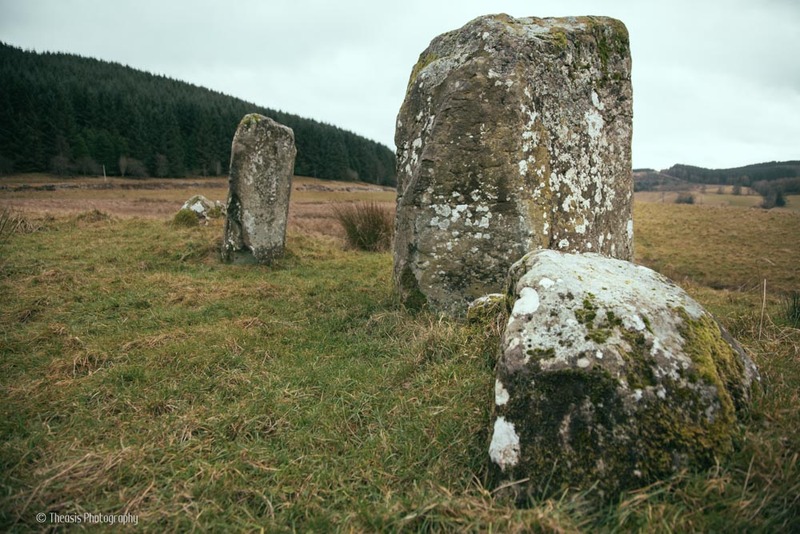 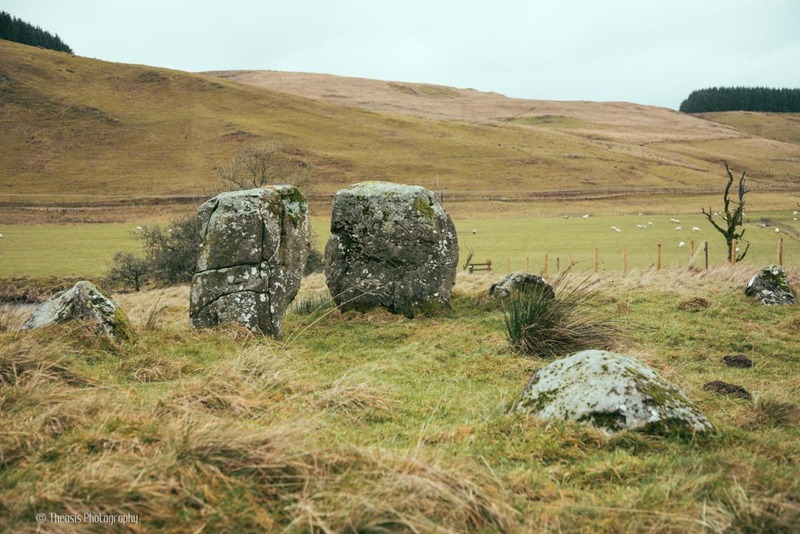 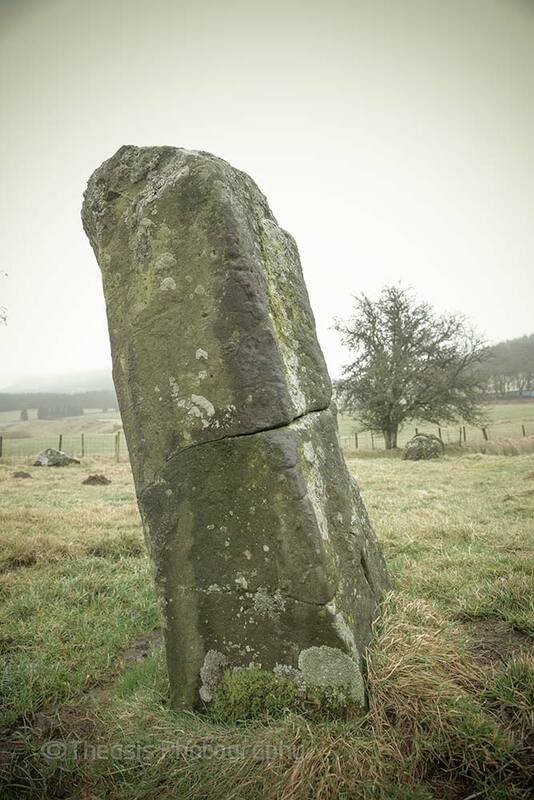 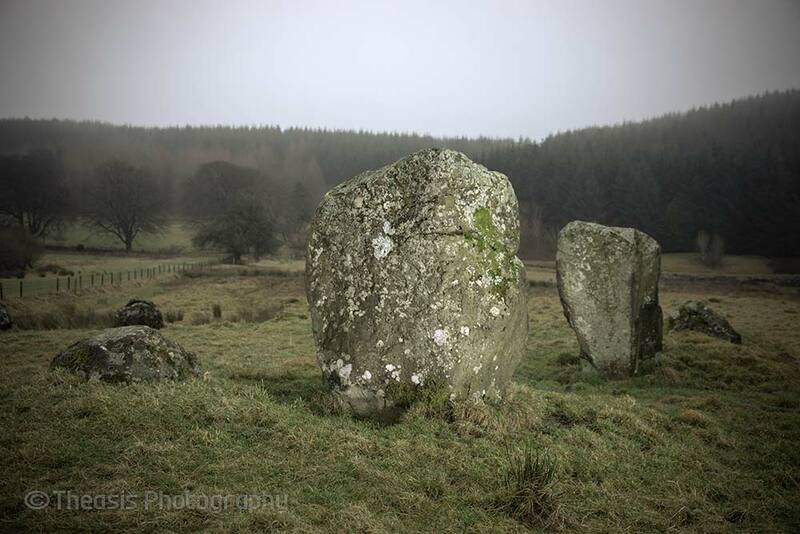 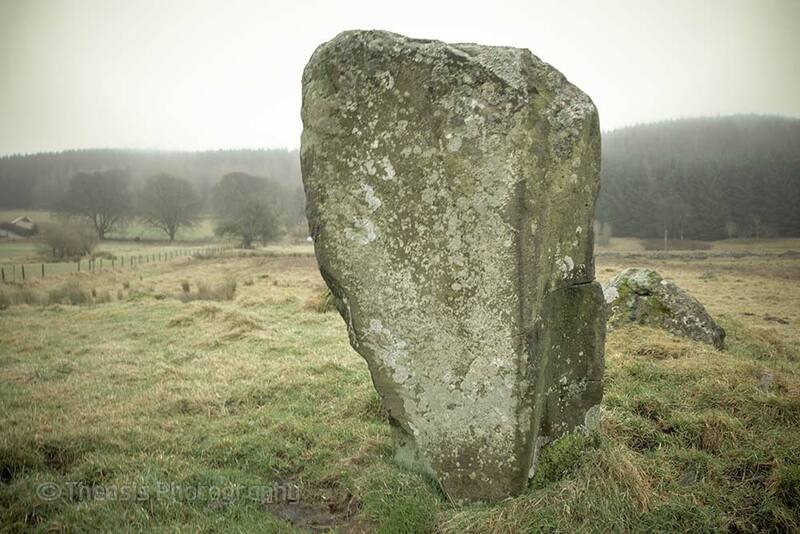 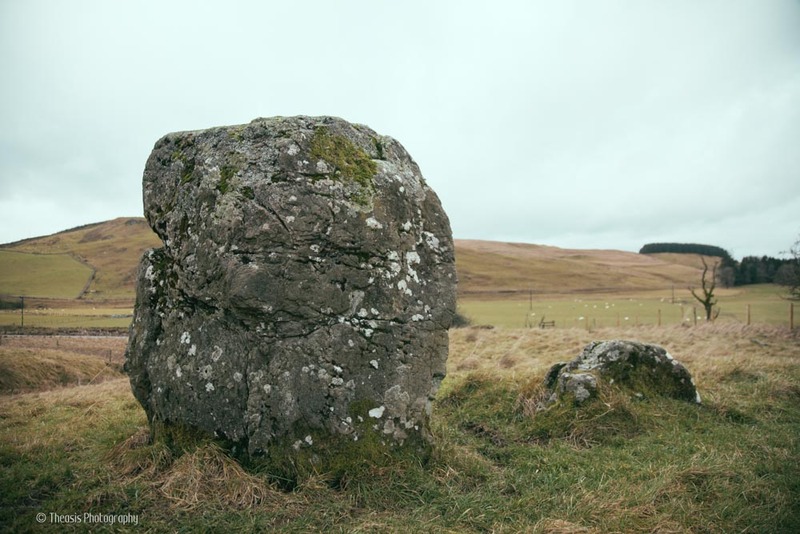 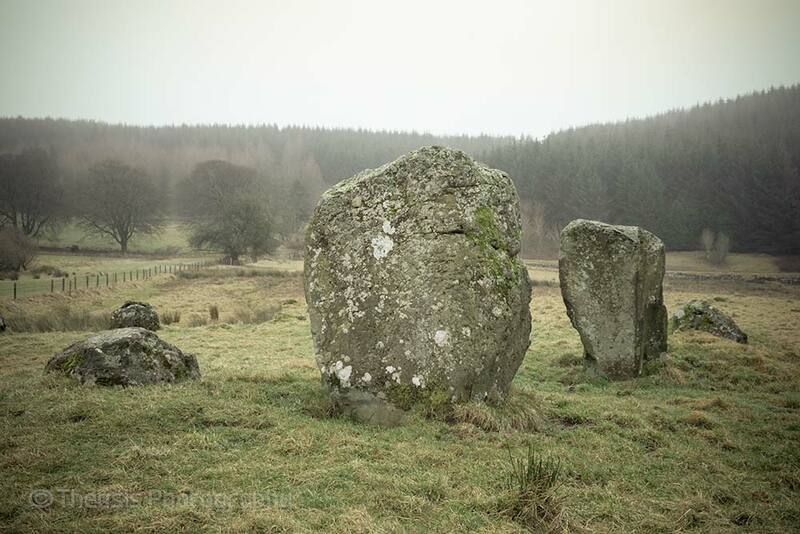 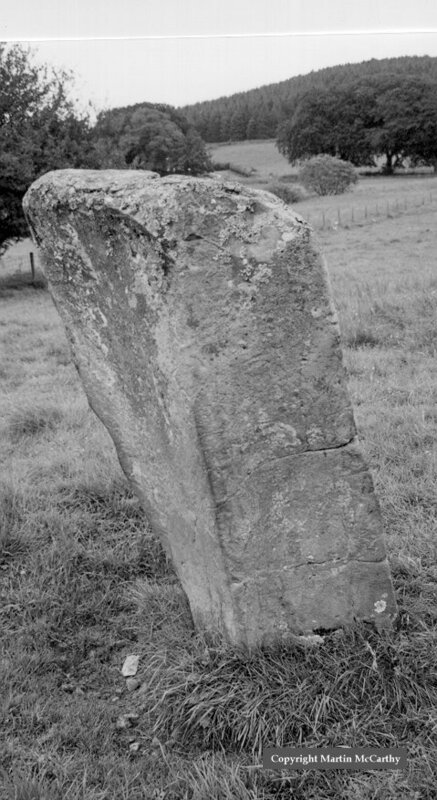 There are two much larger stones near the main circle; these stand 5'4" tall each and some eight feet apart (the Loupin' Stanes themselves). 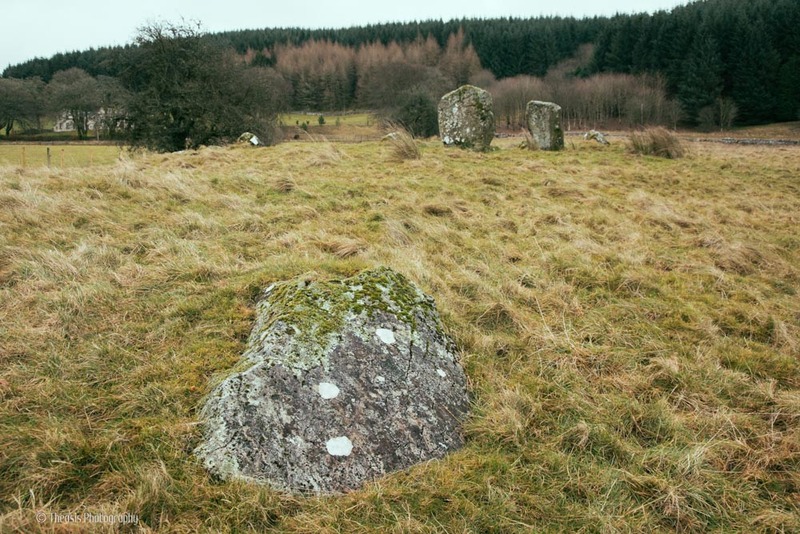 Some 500 metres further down the River White Esk is another circle (the Girdle Stanes) that has been partly eroded by the river. 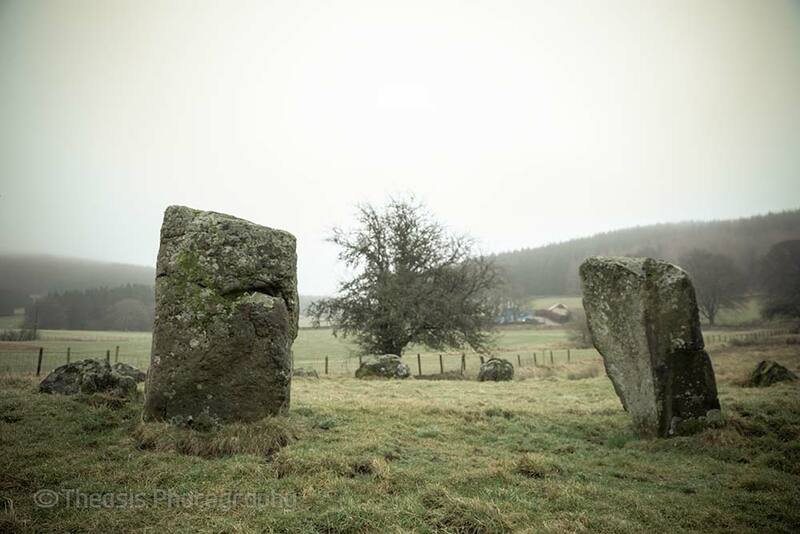 The main circle and the Loupin' Stanes stand on an artificial platform. 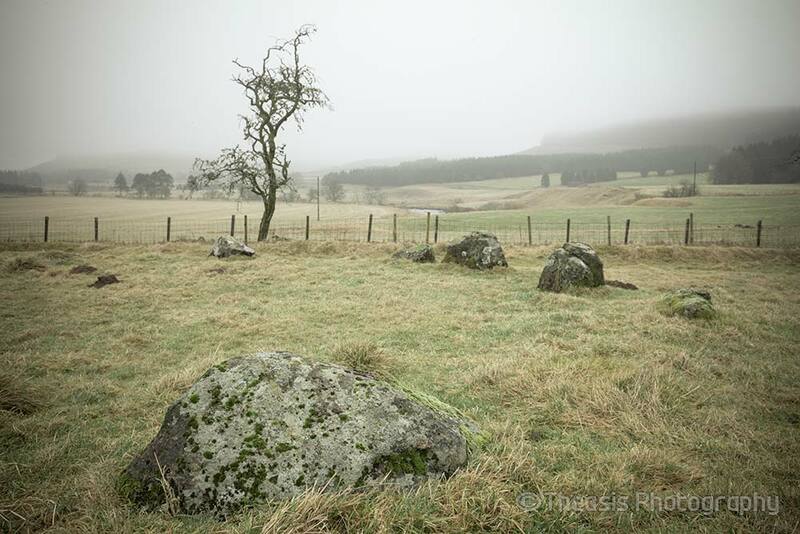 A line of stones leads from the Loupin' Stanes to the Girdle Stanes.